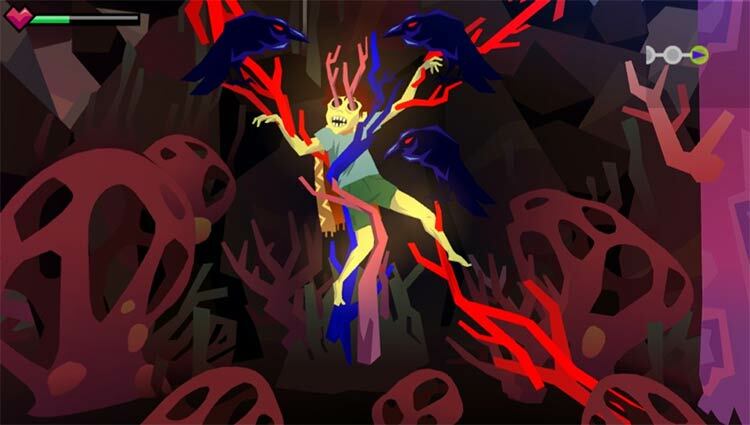 In Severed you play as a distraught warrior, who is lost in a fantastical world. She is tasked with the challenge of knitting together pieces of her story from both the past and the future. Our heroine will embark on a journey through a surreal non-linear world using a gesture based combat mechanic to defeat enemies in this first person adventure. Unlock new abilities, discover secrets of the land, and grow in power as you master both offensive and defensive techniques. Let Severed be your mystery to unravel. After their well deserved success with Guacamelee, the folks at Drinkbox Studios took a big risk with Severed. After all, a Vita exclusive first person dungeon crawler RPG with touch controlled combat seems rather long in the genre definition, and a rather insane proposition all things considered. DrinkBox has succeeded in not only making a fantastic game, but also making the PlayStation Vita relevant again in a time where most have left it for dead. 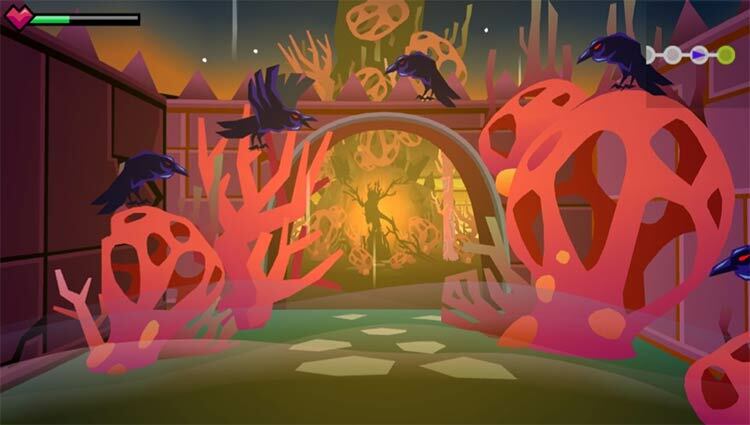 Severed is the call to all gamers to dig out their dusty Vitas once more, as the neglected handheld has quietly acquired one of the must-have games of 2016. 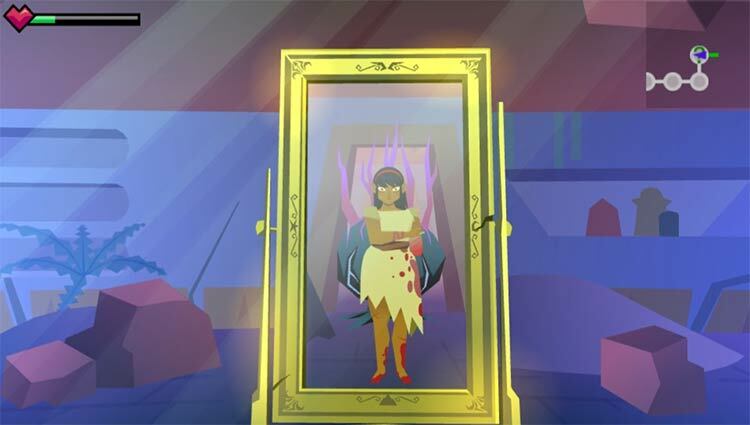 Severed is the kind of game that comes along once a generation, and helps define a console. There's little about Severed that isn't memorable, exciting or beautiful, and it's the kind of game any player can jump in and enjoy without being overwhelmed. Drinkbox has done a tremendous job crafting a hybrid of numerous genres to deliver a familiar and fresh experience that absolutely shouldn't be missed. Top marks to Drinkbox for daring to be different, and using the PS Vita's touch screen to create a unique gestural combat system. The action can be somewhat repetitive at times, but Severed's story is compelling enough to keep driving you on. That, combined with the beautiful-looking graphics deliver a dungeon crawler that's well worth experiencing. Overall, Severed does a lot of good with its excellent and challenging combat, intricate dungeon maps full of collectibles, unique and visceral upgrade system, and a fantastic presentation. Its biggest shortcoming is its lack of opportunities to engage with its world and Sasha’s history, but with everything that works so well about the game, I can mostly forgive this slight. It’s a shame that Severed came so late in the Vita’s life cycle, because it had me wondering whether or not more games like it could have saved the system. That’s just wishful thinking, of course, so it’ll just have to remain what it is: an incredible eleventh-hour treat for fans who have invested their time and money into the handheld. If you enjoyed Guacamelee!, you’ll find a lot of what you loved in that game has returned. Severed is a game that's a perfect fit for the Vita, and with Drinkbox's special sauce mixed into the wound it's one bloodbath you won't want to miss. I hope you're quick or dedicated though, 'cause this isn't your mom's touch game - and those who aren't up to the challenge will be cut down in their tracks. Really, it's hard to find anything wrong with Severed. It obliterated my conceptions of how a touch-based game can play, it looks breathtaking, and it gave me a reason to break out my Vita. It hurt my hand a little bit when I was trying to figure out the best way to control it, but since the face buttons and D-pad do the same thing, I just learned to switch hands. Though my playthrough only lasted around five hours, I wanted more. Shortly after I finished the story, I dove back in to explore every path I didn’t already venture down with my new powers in tow. The draw to keep playing and exploring immediately after I finished is a testament to how much I enjoyed Severed. DrinkBox Studios pushes the boundaries on the Vita’s unique hardware once again. Although from a technical perspective it occasionally lets them down, Severed’s unique combat system and beautiful art style carry the day on what is a fun, if not short-lived, dungeon crawler. 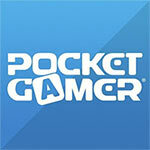 The promise of the Vita was console-quality experiences on the go, but Severed isn't that. Rather, it's the sort of expertly executed cocktail of mechanics that would work as well on a comparatively diminutive smartphone screen. So while Severed may be something of a swan song for the Vita, it's also a reminder that great games are bigger and more lasting than the platforms that contain them. It’s a marvelous dungeon-crawler whose touch-based combat never shies away from being responsive and intuitive, which allows players to gain more and more confidence in their abilities as the campaign progresses. Of course, a brilliant combat system is just one of the factors that makes Severed a can’t-miss game for Vita owners, as DrinkBox’s patented art-style and focus on smart level-design are nothing to shake one’s head at. Severed starts out deceptively simplistic and bizarre. The weird, old-school scrolling method and touch-based interactions hide a remarkably deep and involving mix of action, adventure, and role-playing. The more hours you pour into Severed, the more complex it becomes and the darker the story gets. It takes a while to grasp, but once the game picks up steam, it becomes an intriguing experience that's unlike any other game on Vita to date. Nothing was rushed here, instead it’s a fully realized game that was meant for the PlayStation Vita. Severed is one of the best reasons to own a PlayStation Vita. It’s specifically designed around the system’s strengths, and the graphics truly shine on the Vita’s OLED screen. DrinkBox has really outdone themselves, and have made an absolute classic. A valiant attempt at creating a touch screen-based action experience with real depth, Severed struts confidently for four or five hours – before ultimately devolving into the same old swipe-fest that it seems to detest. Still, this is a wonderfully presented experience, with a mystifying world and some intelligent level design. Across Severed’s seven or so hours, you get to experience some of the best touch screen gaming around. 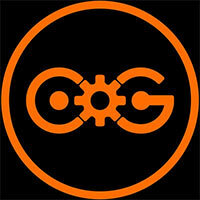 DrinkBox Studios have created a great game here with an engaging battle system and art style. It can feel a bit too minimalist in its design, and there’s much repetition in the environments, but DrinkBox Studios have created a great game with an engaging battle system and art style. If you own a Vita, Severed is worth getting. Grievances aside, Severed is loaded with ambition and is so slick, stylish, and damn pretty it'll melt your eyeballs. Severed is a story about love. A girl’s love of her family and Drinkbox’s love for Vita. Repetitive combat and a tough difficulty spike limit the enjoyment, but there’s no reason every Vita owner shouldn’t at least give it a go. Just don’t expect Fallout-levels of depth – an exhaustive trek through every room in the game (a necessity to unlock the game’s Platinum trophy) will take roughly ten hours. It’s conceivable that Severed will be the Vita’s last ‘big’ exclusive and DrinkBox has dutifully risen to the occasion, delivering a gorgeous and original title that should keep the Vita on life support for a while longer yet. A fantastically strange and unique first person adventure that manages to make touchscreen controls seem fresh and interesting again. Fantastic art and sound design, and a highly original premise that still maintains a hint of the familiar. Minimalist but effective storytelling. Deep upgrade system. It's not the most subtle game design and it does take away some of the sense of discovery and exploration. That said, it is still a challenge to collect all the secrets and reach the coveted trophy that requires 100% of every area explored. If Tearaway was bouncing about on the happy and cheery side of the must-have Vita spectrum than Severed is most assuredly right down the other end. A grim and foreboding fairytale liberally swathed in colourful style, Severed masterfully combines touch screen combat, metroidvania game design and hugely satisfying character progression to make the most essential PS Vita title to date. 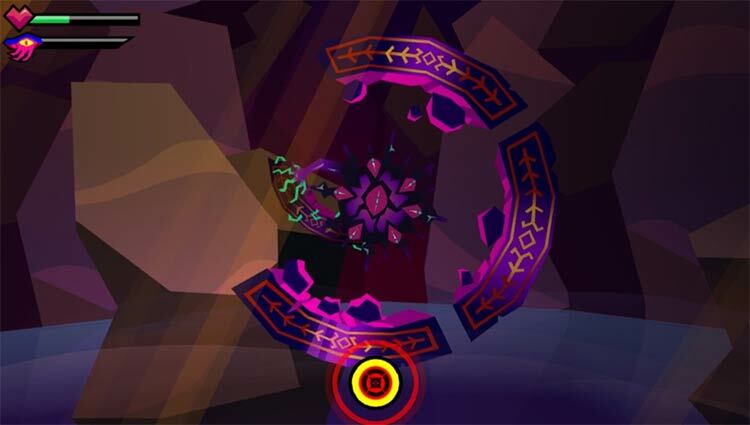 Severed is quite simply a handheld tour de force without equal. Severed is still overall a very appealing game. It is beautiful and fantastical, and despite how unsuccessful the touch controls are, the concept of swiping a sword is still a charming one. However, I would recommend finding a work out to boost your upper arm endurance before playing. Al final del día Severed me parece que el juego es un acierto general y su intento por innovar cumple en términos generales. Si jugaron Guacamelee pueden encontrar una experiencia fresca que cambia mucho por su perspectiva y su gameplay pero que al final verán que también tiene mucho qué ver en cuanto a diseño general. Severed es un muy buen dungeon crawler que, en la línea de otros trabajos de Drinkbox Studios, sorprende por su apartado artístico y la originalidad de algunas de sus mecánicas de juego. El problema es que lo nuevo de los creadores de Guacamelee! no llega a explotar todas sus fortalezas, y se queda algo lejos de una calificación sobresaliente que tenía perfectamente al alcance de la mano. Pese a todo, merece darle una oportunidad a este videojuego de PS Vita. Después del éxito de Guacamelee!, es admirable que DrinkBox haya decidido darlo todo por un proyecto tan peculiar y arriesgado; lástima que no todas las ideas de Severed sean tan poderosas como esa mezcla de dungeon crawler y juego de móvil que le sirve de punto de partida, porque por lo demás la soltura que demuestran incluso en los momentos más pobres deja ver un estudio con un talento muy especial. Pero aún con todo, Severed es un gran juego, una de esas experiencias que, tras terminar, sigue dejándote con ganas de más. Uno de esos juegos que se instala en tus recuerdos, no solo por jugabilidad, sino también por estética, música... Sin ningún tipo de duda, la excusa perfecta para que aquellos que tienen su Vita olvidada la puedan sacar de su letargo. Para ser sinceros, probablemente Severed no gustará a los puristas de ninguna de sus dos grandes influencias: la parte rolera es muy ligera y hasta cuesta encasillarlo como RPG sólo por la mejora de habilidades. Tampoco es aconsejable para el jugador que busca diversión desenfadada; se necesita orientación, paciencia y algunos enfrentamientos ponen a prueba nuestros reflejos. Severed es un Dungeon crawler con toques de acción muy ligero, pero adictivo. Su propuesta artística resulta excelente, pero lo mejor de esta producción es lo entretenido que resulta combatir y descubrir los secretos que se esconden en el mundo que se ha creado para la ocasión. 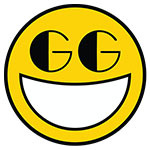 Die Kampfmechanik, die per Wischbewegungen über den Touchscreen den Spieler erfrischend unter Druck setzt, zaubert mir ein längst vergessenes Lächeln auf mein Gesicht, dass ich zuletzt bei Gravity Rush verspürte. Die Guacamelee-Macher stülpen mit dem vertrackten und verschachtelten Dungeons noch ihr altbewährtes Konzept drüber, wobei sich neue Areale nur über Zusatzfähigkeiten erschließen und würzen das Ganze mit einem schlüssigen Artstil und passend skurrilem Soundtrack und fertig ist der Gold-Award. Bref, Severed est une exclusivité PS Vita. Severed est imparfait et parle peu, il est touchant, parfois violent et épuisant, mais il est enivrant. Severed ne laisse pas indifférent, Severed est excitant, Severed est excellent. La Vita a trouvé son maître, rien n'y sera jamais aussi bon que Severed. Son univers morbide et mystérieux, sa réalisation aux couleurs chatoyantes et son système de combat de plus en plus complexe mais parfaitement expliqué font honneur au talent de Drinkbox à créer des titres originaux. Dommage qu'une poignée de détails gênants et une dernière partie d'aventure beaucoup moins intéressante et équilibrée viennent gâcher un peu le tableau de cette jolie exclusivité taillée spécialement pour la Vita. Severed représente exactement le genre d’initiatives que Sony aurait dû encourager sur Vita. Un titre dont l’ambition n’est pas démesurée, mais qui réussit à viser juste en exploitant de manière originale les capacités de la Vita, en les mettant au service d’un gameplay qui s’avère beaucoup plus riche que prévu. 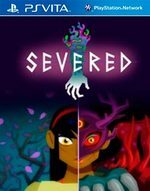 Severed è un titolo originale e affascinante, strutturalmente molto semplice ma in grado di coinvolgere grazie a un sistema di controllo immediato e reattivo, nonché a duelli tutt'altro che banali. Lo stile di DrinkBox è gradevolissimo, sia sul fronte estetico che narrativo, e in questo caso gli sviluppatori hanno saputo dipingere delle creature davvero inquietanti e un ambiente ostile in cui la tensione aumenta di pari passo con la forza e il numero degli avversari. Severed è un bellissimo omaggio ai vecchi dungeon crawler in soggettiva, con l’aggiunta di un sistema di combattimento interamente basato sul touch screen di PS Vita. Il gusto per l’esplorazione, con il classico movimento di casella in casella sottolineato da una mappa molto in stile metroidvania, è ottimo e il combattimento interessante e ben articolato. 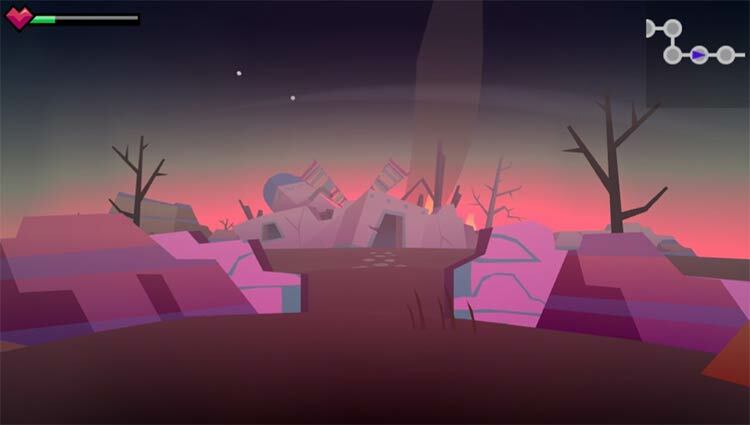 Образцовый экшн в Severed перевешивает скучность исследовательской части. Низкая продолжительность, правда, остаётся существенным недостатком. Но как бы то ни было, владельцам PS Vita игру пропускать нельзя: здесь есть всё, чтобы поставить её в один ряд с лучшими из (немногочисленных) больших игр консоли. Een onvoldoende uitgewerkt achtergrondverhaal, een oppervlakkig upgrade-systeem en een beperkte hoeveelheid content zijn gelukkig niet genoeg om een fantastische ervaring te verpesten. Severed is prachtig, kent veel meer diepgang dan je zou verwachten en biedt ondanks de vrij radicale besturing een uitstekende, traditionele DRPG-ervaring. 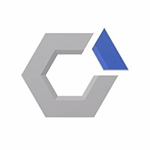 Ik ben benieuwd welk genre Drinkbox Studios met hun volgende game zal bedwingen.